Although the Ebro river actually runs though various regions from Cantabria to Valencia, the DOs gathered in this macro wine region are mainly located in the provinces of La Rioja, Álava, Navarra, Huesca and Zaragoza. The hills, valleys, nooks, and crannies among these mountains hold nearly endless opportunity. For now, the money remains focused upon Rioja wine, the traditional area of quality, with bet hedgers looking toward Borja Garnacha wine and Cariñena wines, the traditional area of quantity. 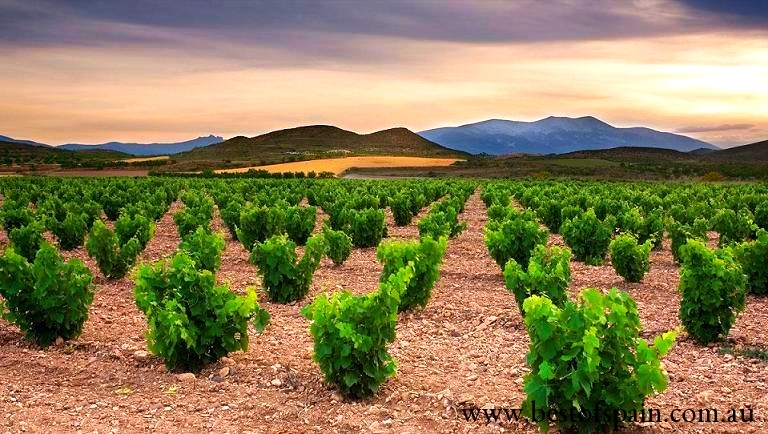 In the foothills of the Sistema Ibérico, the less–known and limestone–rich DOs of Campo de Borja, Calatayud, and Cariñena offer excellent value and sometimes great wines too, if only from a handful of focused producers at the moment. This is the ancient kingdom of Aragón, and if it's where Tempranillo has staked its historical claim, it's also where Garnacha began its rule. There are plenty of rivers, (Rioja is named for one of them—Río Oja) but it's the Ebro River around which this particular winedom is built. And it's the Ebro River that provides common kinship, despite the changing landscape and climate as you roll from the relatively protected carat-shaped duchy of Rioja down to the smaller fiefdoms of Campo de Borja, Calatayud, and Cariñena. Not surprisingly, Garnacha prospers in hotter, drier spots, while Tempranillo's more delicate constitution is maintained in cooler, mountainous perches in Rioja. Cariñena, the grape, has only recently returned to Cariñena, the DO, but it was wildly popular for a time in the nineteenth and twentieth centuries because of its abilities to produce significant alcohol in even more significant quantities. Once upon a time, the French were rather thirsty customers, though one can search the records in vain for any proof that those French wine drinkers knew they were drinking bottles with Spanish wine in them. During that time, yields could be obscenely high, but like much of Spain, the focus is now upon quality, not quantity. We visit this wine regions of Spain in our Pure Indulge Experience, you can get more information about it filling the contact form. 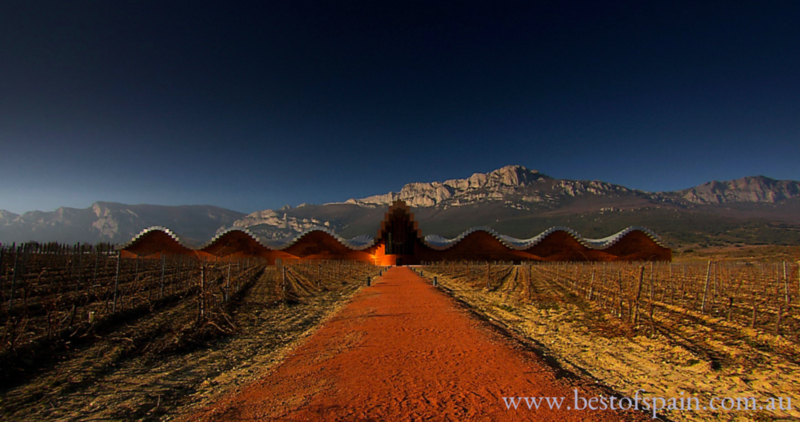 Welcome to Best of Spain, a company dedicated to offer the most complete Wine Experiences & culinary discoveries of Spain. Best of Spain started to offer the wine experiences in October 2012, We started operating with the aim to organise technical visits to wineries and vineyards for wine professionals all around the world to Spain. In 2013 we started to run an indulgence package, where not only we visit the wineries but also combine the best culinary discovery of Spain. In addition in 2014 we started offering an The Ultimate Experience where you will discover the Spanish culture and wines at the same time of being hands on in making your own wine. Our aim is to provide a rich, educational, and enjoyable experience to be remembered as a life experience. The company works with the best profesionals and companies in Spain to provide a unique service for our clients. If you enjoy wine, food, travel and life then you have come to the right page.